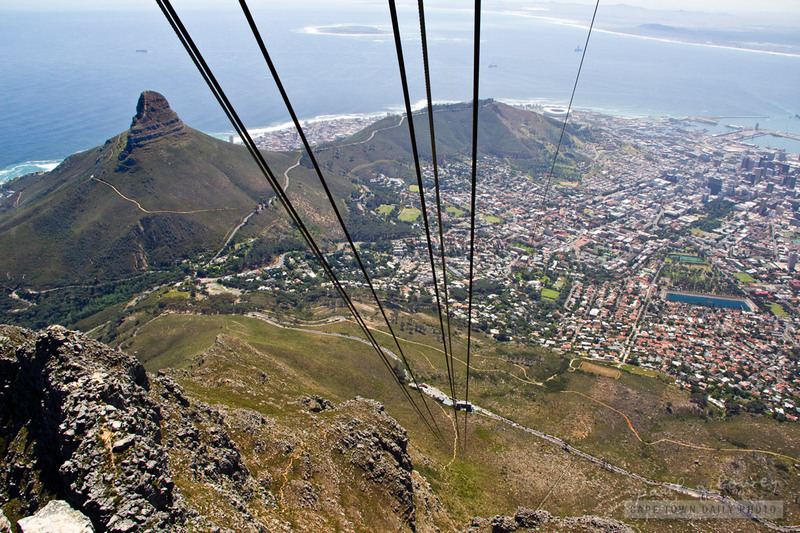 The inside of the cable car rotates as it ascends from the lower to upper cable station. 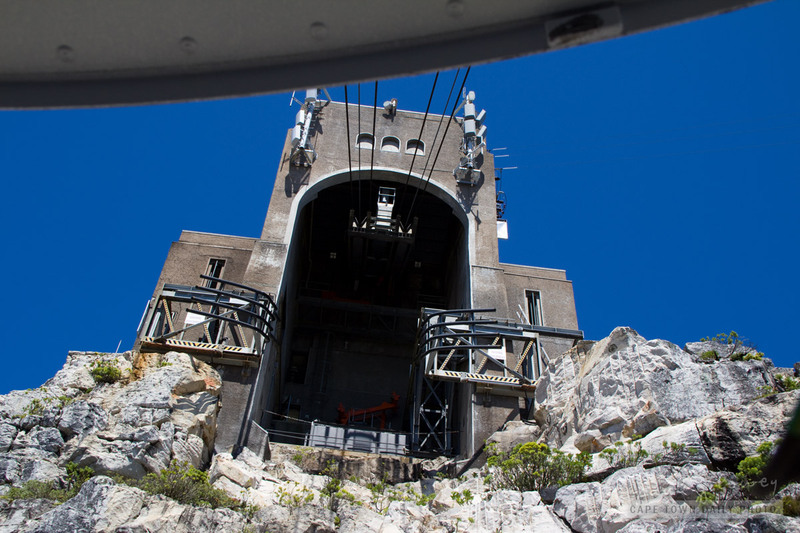 We were lucky enough to be positioned just right so that I could take this photo from the open window at the rear of the cable car (as we neared the upper cable station) and then take the fourth photo (below) of the upper cable station from the front of the cable car (shortly before docking). 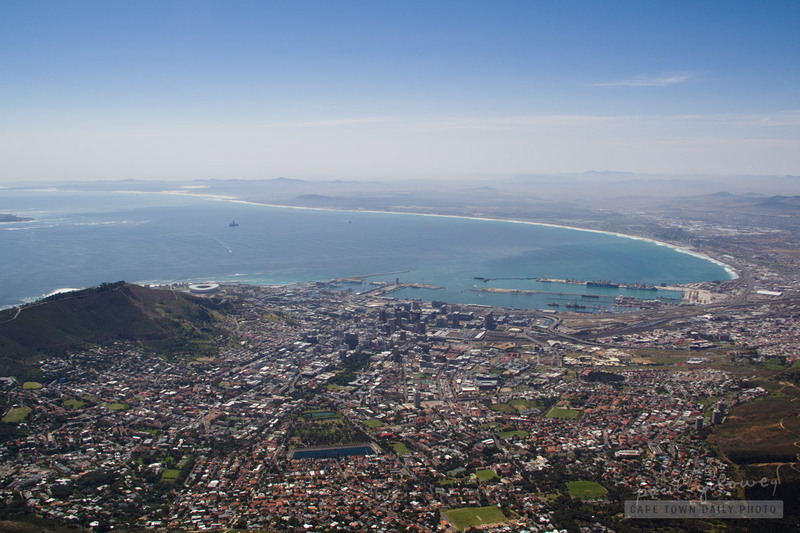 If you know Cape Town, you'd recognise Lion's Head on the left, Signal Hill in the middle, and Robben Island in the ocean above. 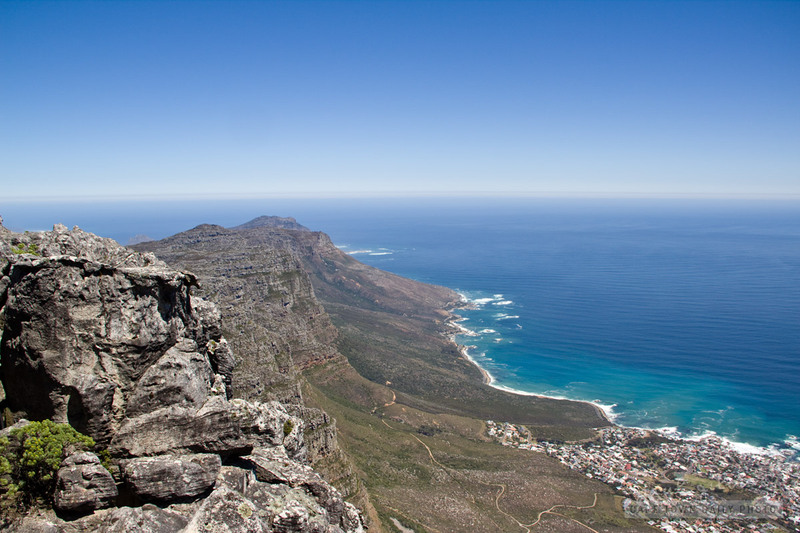 Besides for the upper cable station, the three remaining photos below are of Devil's Peak, Table Bay, and the Twelve Apostles mountain range. 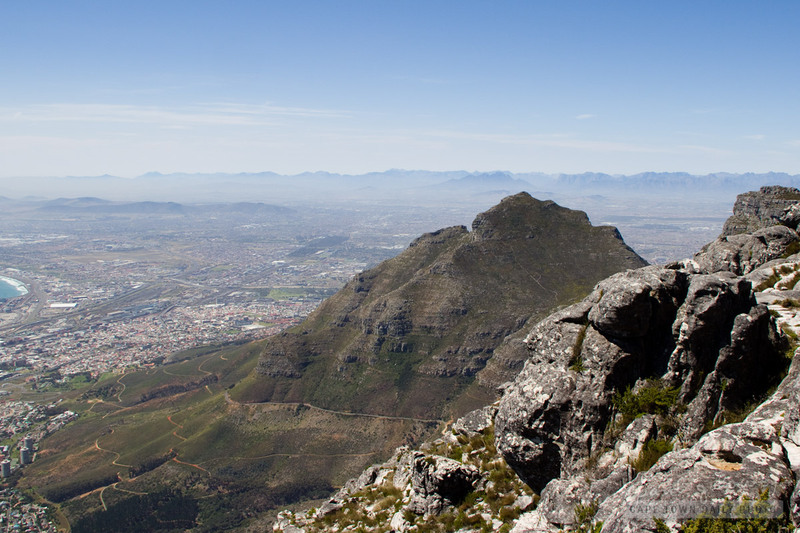 We're so lucky to have such a large mountain bordering on our City Center - becoming part of normal city life. Posted in General on Tuesday, 25 October, 2011 by Paul.